The EU’s economic governance framework is arguably one of the most divisive issues among member states and top priority in Europe’s to-do list of outstanding reforms. Niels Thygesen does not shy away from this challenge. After questioning the Commission’s fiscal stance for this year, he proposed a return to a more ‘prudent’ orientation for 2018. In October, he will address one of the hottest topics: whether the application of the Stability and Growth Pact (SGP) unfairly favoured countries like France. Niels Thygesen is the first chairman of the European Fiscal Board, a five-member body set up last year. 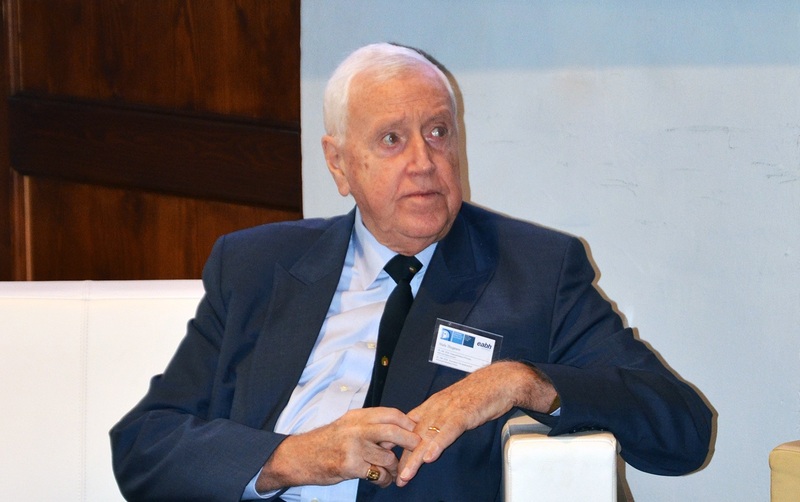 He is a Danish economist, professor emeritus of International Economics at the University of Copenhagen, and former adviser to governments and international institutions, including the IMF and the OECD. 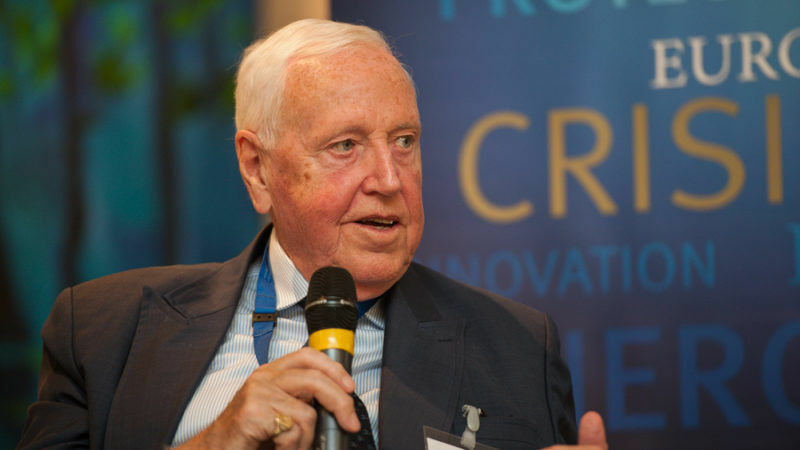 He spoke with EURACTIV’s Jorge Valero in an exclusive interview. Your proposal for this year’s fiscal stance is neutral, compared with the small stimulus proposed by the European Commission last year. Why did you make such a recommendation given that Europe still needs investment and there is fiscal room for it? We are approaching more normal times. The output gap does suggest that it is closing. Whatever measure you use indicates that things are going better. There is some elimination of the slackness in the economy. That clearly strengthens the case for not doing anything extra at the European level beyond what is in the national recommendations [made by the European Commission]. The case was a bit different last year. With retrospect, maybe I am a bit less critical about what the Commission said. Last year there was an understanding in the Eurogroup and elsewhere that the Commission should have already said that a broadly neutral fiscal stance was appropriate. So they were taken a bit by surprise, and too much of the discussion was on the specific number the Commission suggested of 0.5% of GDP of additional stimulus. That was a bit unfortunate, also for the idea which I regard as perfectly valid, that the times were more critical than today. 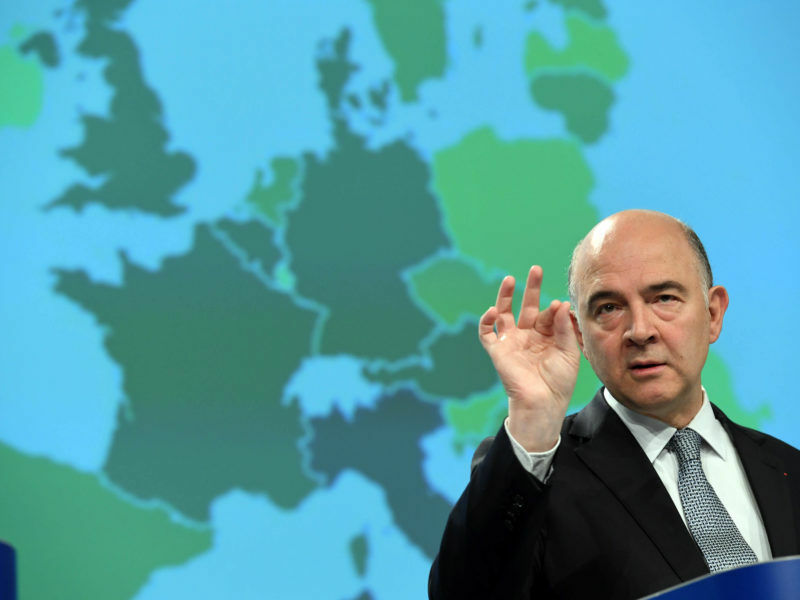 The new European Fiscal Board began working just as the European Commission took the unprecedented step of proposing a fiscal target for the eurozone. The Board’s chief, Niels Thygesen told EURACTIV.com that the Commission should have done “more analysis” before proposing an expansionist stance. You are right. Countries with fiscal space should be encouraged to do more. There should be more emphasis on investment, as it not only helps to eliminate slack in the economy but also produces higher potential growth in the future. Despite the need for investment and the fiscal space, you would not argue in favour of an expansionary fiscal stance? No, I don’t think so. In fact, if you look at the European Commission’s forecast, there is already an expansionary impulse. There is an expectation, at least in the Commission, of a somewhat more expansionary stance. So you have to correct a bit for that. Therefore rules should apply, particularly to those with high debt. Ideally, this should be supplemented by the few countries, particularly Germany and the Netherlands, that have fiscal space and should do more. We recommend that quite clearly. The European Commission on Thursday (11 May) revised upwards its growth forecast for this year and the next, despite the difficult break-up negotiations expected between the EU and the UK, and the long list of challenges affecting the bloc. Speaking of Germany, how would you describe its attitude regarding its reluctance to spend more? One has to make two arguments. Firstly, it should be in the interest not only of Germany but also the Netherlands to do more, as they will create more growth capacity for the future. Secondly, fiscal policy has to be decided by national governments. As a result, it is an important task to convince countries like Germany or the Netherlands that it is in their interest to do more. And regarding the second argument, the Commission perhaps should put a bit more emphasis on the so-called spillover effects. More efforts from Germany and the Netherlands will have a major impact on the stabilisation efforts of other countries, but also within Germany, and that is the important argument. The Commission made some calculations in May about this positive impact. But it is not very large. I don’t think they should be exaggerated. But they are relevant and even more relevant at a time when we are continuing to have an accommodating monetary policy. We agree that the case is stronger when interests rates remain low and stable. In normal times, in the eurozone, the spillover effects would be fairly modest. The reason is that if Germany increases its expenditure, the ECB would raise interest rates because Germany is such a very large economy. Draghi said risks have stabilised. Do you agree with him? In a way, we are in a more balanced situation. Deflationary risks are very distant now. Realistically speaking, the overheating fear is more imminent in countries with nearly full employment or full employment, like in Germany. We see how labour costs are starting to rise a bit faster in Germany. But overall, we are in a well-balanced situation, where both the risks of deflation and overheating are somewhat remote. That is the basis for some reconsideration. For the next crisis, which with no doubt will occur, it is a good moment to look at how we manage the challenge where the monetary policy does not become again basically the only macroeconomic policy. Can we say the European comeback is a reality from an economic point of view? It is a comeback. The comment I made when I presented the report in the Eurogroup last week is that we are approaching normality. We should stop talking about a recovery phase. In autumn you will release the first report on how the Stability and Growth Pact has been followed by member states and enforced. What could we expect? We are now drafting an annual report which should come out hopefully in October. It will look into how the SGP has been applied, how the fiscal rules evolved, and the weaknesses of the current system. The Commission believes that the main beneficiaries of the flexibility introduced a couple of years ago are Italy, France, Spain, Portugal? Do you agree? Was it too much flexibility or it was an intelligent step? We will look at the question of whether the extension of deadlines, for example, is a major factor in the treatment of countries, and whether there have been differences. It is part of our mandate to look at the consistency of the application of the rules across countries. There is a perception that there has been some distortions, some inconsistencies in the application of the rules, but I am not prepared to say whether it is fully justified. Will you back Commission President Jean-Claude Juncker’s statement that ‘France is France’ when it comes to the enforcement of the SGP? No, I did not say that. We look more at the figures and how the rules have been applied, and the balance between the corrective arm and the preventive arm. That will be the substance of our discussion. Some reforms have been proposed to improve the SGP, including simplifying the rules, giving more importance to the debt rule and introducing more market discipline. In your view, what reforms are needed? It is a bit of everything. It is clear that the rules have become so complex that you can emphasise part of the rulebook and countries get away with that. That is one problem. Besides, market discipline was very hard to apply at the beginning. But you cannot apply market discipline in times of crisis because markets are too sensitive. We saw that in 2011-2012, until the ECB made the Outright Monetary Transactions (OMT) announcement. Now we are somewhat in a more tranquil environment. Certainly, market discipline is an element we will also discuss. In regards to the debt rule, it is in principle operational on paper, but it has been difficult to apply it. It is disappointing to see that debt levels have been stuck at 130% of GDP in countries such as Italy and Portugal for a long time. That does not match the debt rule at all. The European Fiscal Board provides the European Commission with an evaluation of the implementation of the EU fiscal rules, including the appropriateness of the actual fiscal stance at euro area and national levels. The Commission appointed Thygesen as its chairman. He leads a team of four economists. They are Roel Beetsma, from The Netherlands, the Italian economist Massimo Bordignon, Sandrine Duchêne, former advisor to French President Francois Hollande, and the former Finance Minister of Poland, Mateusz Szczurek. The Board publishes an annual report of its activities, which will include summaries of its advice and evaluations rendered to the Commission. There is no normality inside the Eurozone . There is no common or federal fiscal policy nor a real budgetary treasury . 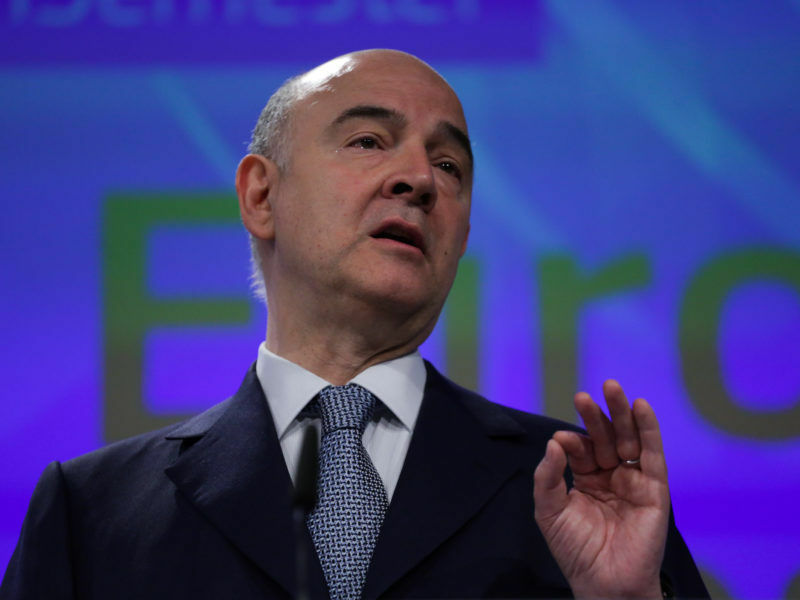 Continuing the austerity is empoisoning the Eurozone . What the Eurozone needs are federal basics and real serious administrations which means no more nursery institutions . There is a rule for the Euro-currency like the dollar . Not more or less ! Fail to do it will soon have aggravated consequences . If Big Germany and Big France as other Big E.U. States or others dont respect the European values then the calculation results will be very very worse . The Eurozone cannot continue with their Business as usual anymore and the rules have to apply soon. the Danish non-eu economist Niels Thygesen is totally Wrong and of course an outdated grumpy (sorry) ! Ask Mario Draghi or Ben Bernanke instead to get the right answer . Do you encourage people to break valid rules? Some countries like the Baltics are willing to comply with rules and some like France, Italy, Greece are not. This is the difference. The rest is talking. At least the U.S. don’t behave with Detroit like Germany is doing with Southern . Sorry for the Truth . I only encourage Leaders to go for correct rules to straight back the bended rood of the E.U. core-economy and to prevent the depuzzeling of the E.U. Europeans wants a federal non-egoistic core EU. Fighting with monetary special policies for a federal currency others than intended rules is just plain ridiculous ..extreme ridiculous.